This place is great. It has excellent Thai food that you can spice up to your own taste. Also the French food; escargot, filet mignon; are the best I've had in a long time. The Chef is from DC where he ran an exclusive restaurant. The price is moderate but equal to the food. I strongly suggest it for lunch or dinner. Had never tried Thai food but am now a lover! 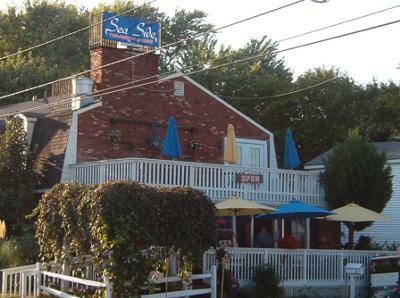 If you haven't discovered the SeaSide Restaurant in Colonial Beach you are missing out! I've traveled a fair amount and dined in a wide range of restaurants. From our appetizer to our Creme Brulee' dessert, our meal was fabulous. The presentation of the food was lovely, something we don't get much of in the area. Our entrees were absolutely delicious. I had the pan seared whole flounder. The likes of which I had never had. I savored every bite. Generous entree portions almost didn't leave us with enough room for dessert but I had been given a recommendation to try the Creme Brulee. It was almost too pretty to eat but I certainly was glad I sacrificed the beauty to enjoy the taste! Treat yourself with a visit to this great restaurant. The staff is so pleasant and the food is superb, you'll be glad you found it. Located at the corner of Washington Avenue and Wilder. Directly across from Nancy's ice cream. We have enjoyed many delicious meals at this restaurant. The menu offers everyone in our family a variety of choices. We have never been disappointed with our meal or service! It's our favorite restaurant in town! This place is amazing, we are so lucky to have it!! Let's be sure to keep it in business, as diversity will be essential for our town's foreseen economic outburst. Katrina's Reply: Thai - French cuisine, gotta love it! I'm a big fan of spicy food too, so I'm glad that's on the menu. Also, you can't beat that view from the balcony!